As the New York Times reports today, people don’t have to improve to qualify for Medicare-covered care in most settings. Unfortunately, older and disabled people are constantly told otherwise – and refused care as a result. The Centers for Medicare & Medicaid Services could fix this pretty easily. 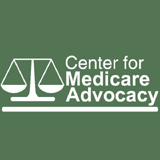 Just issue a CMS Ruling stating definitively and clearly that skilled nursing and therapy can be covered to maintain a patient’s condition or slow deterioration. It’s the law. Disseminate the Ruling to all Medicare providers and adjudicators. Post it on the CMS website. If there’s the will, there’s the way.